To act efficiently in Latin America, the NGO works with local partners. • AGEDRUS Perou (Action for the management of sustainable rural development) has been working on reforestation projects, which seek to aid social and economic development as well as environmental protection, since 2o11. Envol Vert and AGREDUS have been working together on a ‘Reforestation and Agroforestry’ project since 2011. ( See Reforestation and agroforestery). • Asociación Central de Productores de Café (ACPC) and Cooperativa Agraria Cafetalera Sostenible Valle Ubiriki (CACSVU) are both partners of Envol Vert and AGEDRUS. Founded in May 2000, ACPC facilitates the collaboration of 250 coffee producers in the Pinchanaki region, an area covering around 2000 hectares. CACSVU, established in 2004, consists of about 230 members. Our reforestation and agroforestry project is being developed in close partnership with these two ‘organic and fair trade’ certified cooperatives. • Asociación Protección de Flora y Fauna (APFF), based in Tarapoto, Peru, was established in 2001. The association consists of 11 members. In 2009 APFF signed a convention with the regional government for preservation of Regional conservation area of Cordillera Escalera. The association has been working in partnership with Envol Vert on the “Ecotourism in the Amazon” project since August 2011. • CEDISA is a general interest organisation founded in 1981 in order to promote sustainable development in the San Martin region. Envol Vert, APFF and CEDISA signed a three-party agreement in October 2012, with a view to providing mutual support and concerted action towards the protection of the Regional conservation area of Cordillera Escalera. 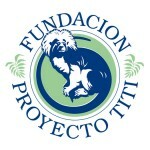 • Fundacion del Rio was founded in 1990. Its objective is the development of south-east of Nicaragua and the conservation of its natural environment by making a voluntary and long-term contribution to the preservation and restoration of the region’s tropical ecosystems. The foundation has been a partner on the ‘‘Aras Vert” project since March 2013. • Cooperativa de Turismo Sostenibile Bartola was created in 2010 in order to provide a means of income for local families, whilst protecting the natural environment at the same time. Eight families currently participate in the project, and are committed to donating 1% of their profits to the local community. Envol Vert has worked with the Cooperative on the “Silvopasture in Nicaragua” project since March 2013. • La Union Salva Bosque is a newly-formed association founded in September 2013 by former loggers who hope to reforest the Sierra Nevada, raise awareness concerning the importance of the forest amongst the local population and find economic alternatives to wood-timber production. Envol Vert is currently working with the association on the “Maya Nut and food security” project. • Maya Nut Institute is an US NGO established in 2001. The organisation’s mission is to reeducate rural families in Central and South America, from Mexico to the Caribbean islands, about the nutritional and forage value of the Maya nut. The Maya Nut Institute have been sharing their knowledge and experiences with Envol Vert in order to support the development of projects such as the Maya Nut initiative.